Information On More Fun Things To Do In Alma. Award winning wines at our local "vine to bottle" wineries. Danzinger Vineyards is just a drive up the hillside from the Blue Door Inn. Located on the Mississippi River and the Mississippi Flyway, the Blue Door Inn is a perfect headquarters for planning a birding vacation. Spring & Fall bring migration are always exciting. Winter is Bald Eagle season. 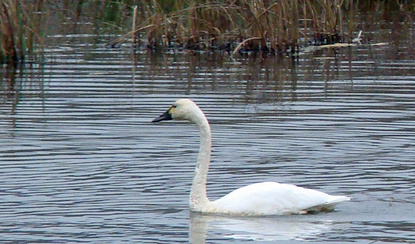 Over 250 species of birds are sited each year, providing fantastic bird watching and photo ops. 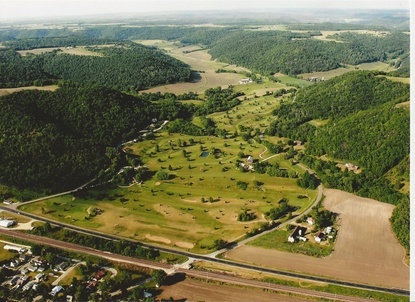 GOLF IN THE "DRIFTLESS AREA"
Walnut Grove Golf Course is nestled in the Driftless Area of Buffalo County, Wisconsin just ten minutes from the Blue Door Inn and tee times are a breeze. Paddle sports by kayak or canoe are a favorite of Blue Door Inn's guests. The Mississippi River backwaters provide many different trails and opportunities to experience the River. Drive the Wisconsin Great River Road for a treat but we encourage guests to also drive Buffalo County's backroads: bluffs, farms, barns, rivers, the geology of the Driftless Area. 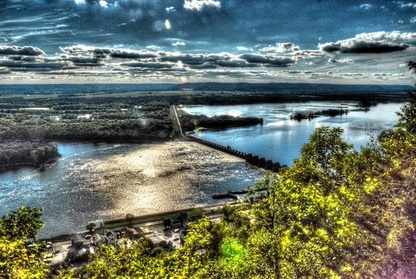 Located 500 feet above Alma, Buena Vista is a small city park with a big view of the Mississippi River. 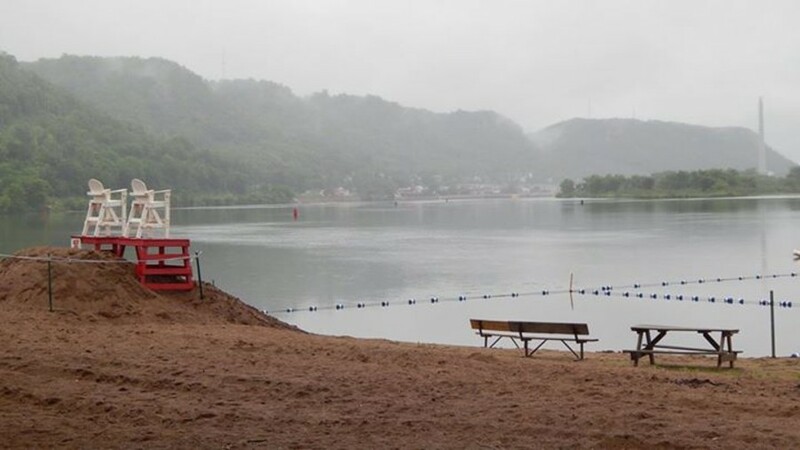 Handicap accessible, large parking lot, hiking trail from 2nd Street in Alma, Wisconsin. Don’t miss this view! 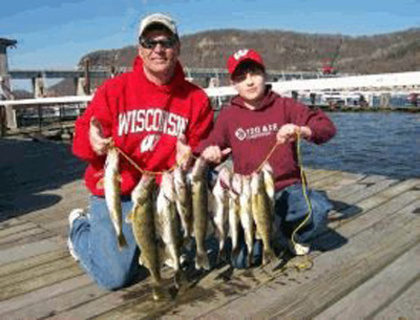 The Great Alma Fishing Float is a favorite fishing spot on the Mississippi River below Lock & Dam #4. If you stay at the Blue Door Inn we'll cover the costs of the cleaning your fish out at the Float. Swimming at a Mississippi River beach (with lifeguards), fishing, watching riverboats, barges & trains. What child wouldn't enjoy these simple activities that make a lasting lifetime memory? Walk Main Street from the Blue Door Inn and enjoy the local shops & galleries. Bringing you local art, many artisans operate their own shops, and may close for a day during the week. The public observation platform at Lock & Dam #4 is open from dawn to dusk, April to November. Handicapped parked and accessibility is available. The Railroad Bridge is an excellent viewing perspective for both trains and river traffic through Lock #4.